SEATTLE, 2017-Sep-27 — /Travel PR News/ — Boeing [NYSE: BA] and Japan Airlines (JAL) announced an order today for four 787-8 Dreamliners. 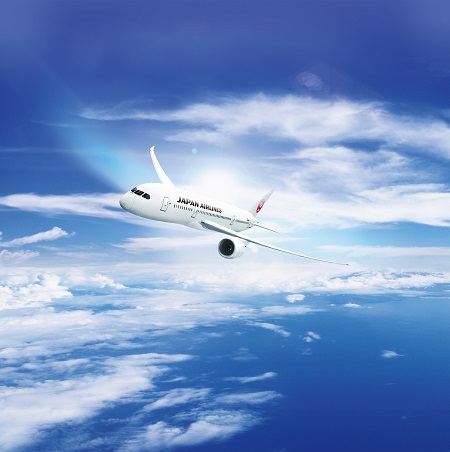 The order, which was previously listed on the Boeing Orders & Deliveries website, attributed to an unidentified customer, is valued at more than $900 million at current list prices and will expand JAL’s Dreamliner fleet to 49 airplanes. Japan Airlines currently operates the second largest 787 Dreamliner fleet in the world, with 34 airplanes. The carrier is expected to receive its 35th Dreamliner, a 787-9 later this week. With this new order, Japan Airlines’ 787 fleet include 29 787-8s and 20 787-9 airplanes. Japan Airlines became the first airline in the world to take delivery of a 787 powered by fuel-efficient General Electric GEnx engines in 2012. In addition, JAL was one of the first airlines to launch new routes with the 787, as it launched its Boston and San Diego routes with the Dreamliner that same year. The 787 Dreamliner family is being operated on more than 530 routes, with 150 brand new nonstop routes planned or in service since the airplane began commercial service in 2011. To date, 69 customers worldwide have placed orders for 1,278 airplanes, making the 787 Dreamliner the fastest selling twin-aisle airplane in Boeing history. Japan Airlines (JAL) was founded in 1951 and became the first international airline in Japan. A member of the oneworld® alliance, the airline now reaches more than 344 airports in 56 countries and regions together with its codeshare partners with a modern fleet of more than 227 aircraft. JAL Mileage Bank (JMB), the airline’s loyalty program, has reached over 31 million members worldwide. Awarded one of the most punctual major international airlines, JAL is committed to providing customers with the highest levels of flight safety and supreme quality in every aspect of its service, and aims to become the most preferred airline in the world. This entry was posted in Airlines, Business, Transportation, Travel, Travel Management, Travel Services and tagged Boeing, Boeing 787-8 Dreamliners, Japan Airlines, Kevin McAllister, Yoshiharu Ueki. Bookmark the permalink.